In this webinar, participants will learn what the presidential campaigns are doing as we move into the final week of the campaign. In the last twenty years, analytics have become much more prominent in campaign strategy. 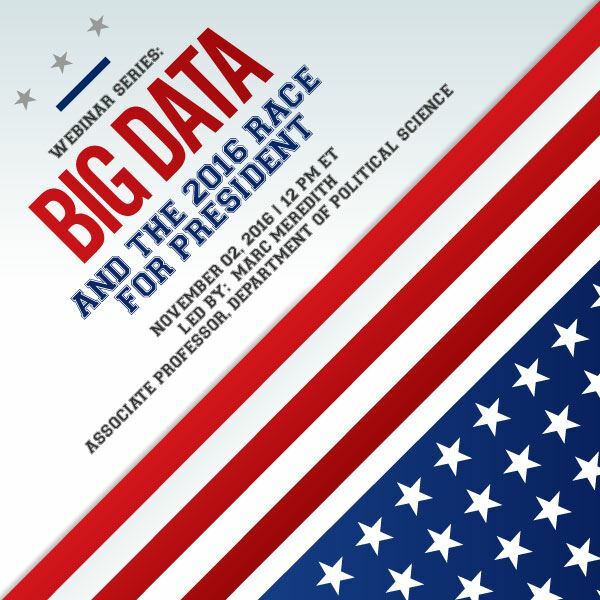 We will talk about what sort of analytics that campaigns are engaging in, how these analytics are used to determine campaign strategy, and how these strategies might affect the outcome of the election.